The snowstorm that had traveled to us from the eastern seaboard had finally moved on and we were left completely shrouded in a blanket of white. Although the snow was sparkling and entrancing, the landscape looked oh so very cold. I knew there was much to be done on this cold wintry morning, but the cares of the day were put aside as I sat by the bay window with a cup of steaming hot coffee. At the break of dawn I found myself staring out at the frosty wintry woods. While I was struggling with the challenge of finding any desire to carry out the work I had planned, it became more difficult as time went by to even move away from the window. 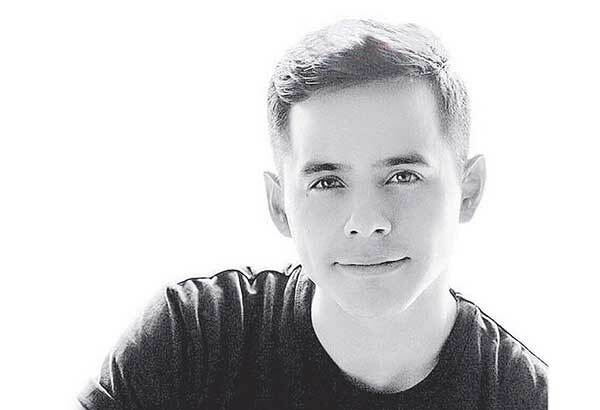 In his book, “Chords of Strength,” David said that when he was in a situation as a young fellow in which he did not know what to do next with his life, he asked God for guidance. Well, perhaps it was time for me to do the same. It was peaceful and still… so very still, and as my mind wandered I heard a song in the distance. Both haunting and beautiful, the voices sang “In the Bleak Midwinter.” I had not heard the song for many years, yet there it was playing over and over in my mind. Moving away from the window I turned to my computer and typed in the title of the song. There it was, the Mormon Tabernacle Choir and their guest singer was Sissel. I was so startled because she was the singer David had said was the guest artist a few years ago. 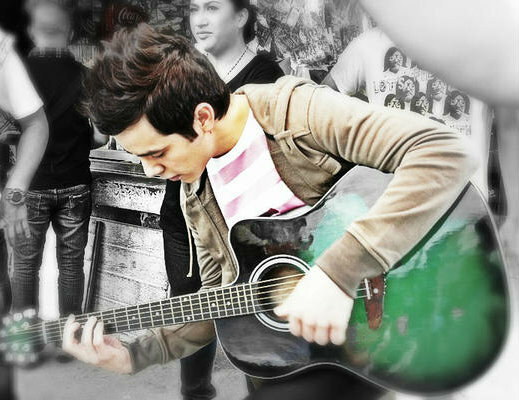 This was the concert that he had been keeping tucked away in his memories. I became overwhelmed by the angelic nature of her voice and the similarities she has to David’s singing style. As a child, we played the Mormon Tabernacle Choir’s Christmas album so this is where my memory was taking me back to. David and Sissel have the same profoundly engaging, captivating and inspirational vocal qualities. They emanate a bell-like clarity of sound with extensive vocal ranges, while singing songs that are close to their hearts. Their voices are sensitive yet powerful and soaring. Like David, she can blend songs of different nationalities in her performances, as well as be equally successful with pop songs. It has been said in reviews that her lovely melodies and lyrics bedazzle the listener. David and Sissel are singers of high caliber and that phenomenon is perhaps what makes it difficult for the pop world of music to appreciate about David. While they both receive the most positive critical acclaim, these qualities also set them apart from the rest. Sissel is an international singing sensation, widely known for her songs in the movie Titanic. These same doors will undoubtedly be opening for David someday soon. A warmth and calmness blanketed over me as she sang. You could see that she was standing on the very same circled star where David had stood just a few weeks ago. This was the choir that I had heard singing; these are the realizations that had come my way. In the bleak midwinter, while gazing outside my window, I had been given all of this. This entry was posted on Monday, January 24, 2011 at 3:13 AM	and is filed under Editorial. 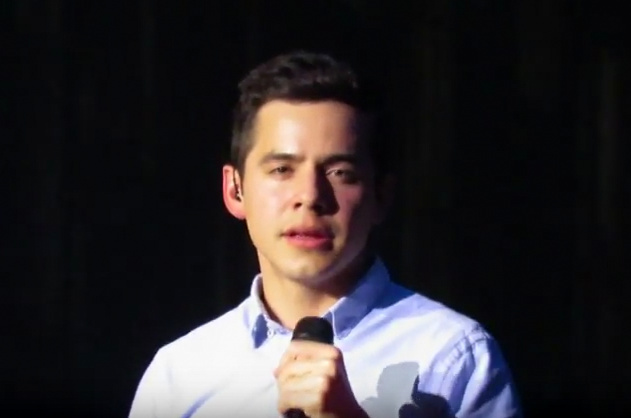 Tagged: Be still my soul, David Archuleta, Lengthening our gaze. You can follow any responses to this entry through the RSS 2.0 feed. You can leave a response, or trackback from your own site. Beautiful Sandy Beaches! I wish that I could write like that. Putting on paper your feelihgs from your heart and soul is a gift. Thankyou for sharing. Ohhhhhhhhh Sandy Beaches..this is a wonderful article! Thank you! I love how you write,and appreciate the beautiful thoughts you share with us.Your way with words calms my spirit, and leaves me feeling peaceful inside. Thank you,SB. I love the pictures you posted with your story. Lovely thoughts on a wintry day while we wait for spring and news of tour. What you say here is why I’m not worried about David’s career. No matter what’s playing at the circus, there will always be a place on the world stage for real talent. I can see why David was so impressed with Sissel. She has a wondrous voice that does “bedazzle.” He’s quite a bedazzler too when he sings. What a beautiful song! Here are the entire lyrics by Christina Rossetti. Wow! what a beautiful spiritual experience and song. Yes it takes us back to that place where David stood and sang so beautifully not so long ago. Knowing that David treasured the memory of Sissel like we do of him is heartwarming. What a gift you were given and sharing it with us is so much appreciated. Thank You SB. It does brighten the morning on this COLD winter day in Iowa. Thank you to everyone, I am happy that you enjoyed reading the article. I want to share with you how I like to spend time with this article. You open it first and see David in the lead picture almost hidden by the snow covered branches. Then you can do some reading and come across the video of Sissel. Listen to her sing and perhaps go full screen. You continue to read and then come across the final picture of David looking out across the snnowy field. But then you go back to the video and start it, scroll back to the top and do a study of the picture of David while she sings. Notice the big scarf wrapped around his neck to keep warm, his hands playing the keyboard with fingerless gloves all the while singing with so much passion and conviction in his voice. Scroll down to the owl who is watching someone walking away at the end of the road and almost out of sight, so who is that? But save some of the song to listen to while you have a look at the final picture of David gazing out over the frozen field. You might get lost in your thoughts. Thank you Angelica, for the most wonderful imageries of David. ^^^ I agree. I too find that she has a richness of tone and a soothing quality to her voice very similar to David. I also see something similar to David in the expression on her face while singing. Just Beautiful! ^^^ Oh, I hope so. Wouldn’t it be wonderful if David could do songs for Movies that way? Angelica: Loved your words, also. And, “No matter what’s playing at the circus” <- I agree with this. Compared to David’s voice, what is played on radio these days could definitley be called a circus. Beautifully written, SandyBeaches! Your words are comforting and restful…just like the song. I am confident that the Lord has plans for David, and I am happy to be among those praying for those plans in his life! MT, thank you for your kind words but I wonder if the setting should perhaps be Hawaii? No we will stay with our winter it will be short lived! I also love the expression from Angelica, “No matter what’s playing at the circus”. I will remember that. PaulaFOD, we are just waiting for the plans to unfold and they will be wonderful. Beautiful words and beautiful visuals. Love this place. And what a beautiful winter it has been for David and his fans. In the past few weeks, I have seen David on my television 4 times. Two with the ice skating, the Celtic Christmas and Motab’s Spoken Word. Every instance was extremely beautiful. Professional, lovely and uplifting. In 3 of these performances he was singing songs he had written. No wonder he sings of zero gravity, highs on elevators, parachutes and airplanes, being in a good place. And his favorite movie is “Up”. This is why I love coming to The Voice. The artistry, the superb writing, the eloquence in expressing everything wonderful about our beloved David. It is truly unmatched. Sandybeaches, of all your articles I have read, I believe this the most incredibly well-written one you have done by far. It moved me as much as Sissel’s solemn performance of the song this article is about. It truly touched my spirit to the depths of my being. And I am mesmerized by the imagery that came with it. Bravo, Angelica. Exceptionally well done. I want to share this video that I found a few days ago, it’s about children from Africa. Sissel’s voice has a clarity and range so stunning that it’s no wonder her performance is one of David’s favorites. I’ve watched some of her videos but this one is really special. Thanks so much SB and also to the Voice for bringing so many wonderful things to this list. I’ve been a fan of your writing since I jumped on, no not jumped on swept up by this ride we’re on. This is a beautiful piece of art, you’ve painted a picture with your words, matched to perfection by the visuals Angelica created. You two make a most exquisite team. I’d never heard of Sissel until David mentioned her, his knowledge of music really is fascinating. I’ve learned so much through him and from all the writers and commentor’s here. An absolutely beautiful article! You have an exquiste writing style and use of words which made me feel as if I were right there with you. In my mind’s eye, we looked out your bay window on that cold, bleak & dreary day, and as we listened to Sissel and spoke of David, the scenery outside began to turn into a beautiful, white, enchanting Winter Wonderland. Your descriptions of how you were feeling & what you were seeing makes it so easy to imagine being there and that’s what makes a very great writer IMO, & you, my Dear are a great writer and as talented as you are lovely! The photos with David’s image are breathtaking. Beautiful job, Angelica! And Sissel is wonderful. I didn’t know Sissel sang the hauntingly beautiful songs on the Titanic soundtrack until I looked her up after David mentioned her. So thank you to David once again for introducing me to another great singer and thank you SB for the video of Sissel singing with the MOTAB Choir. I appreciate everyone’s comments and Angelica’s imageries created with pictures of David are always something I look forward to seeing. You are right djafan, because of David we have been introduced to so many great singers. Thank you for your kind comments. My wish list this year for David includes a duet with Sissel, that would be sensational. They both sing pop so let’s go with that. They both have good eyes for the camera, beautiful actually. 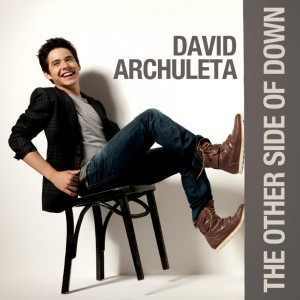 My husband stopped into Zellers today and heard David sing two songs on the radio one after the other. He couldn’t tell me what they were but that’s OK.
At this point the fact that he heard two, not one but two songs by David is amazing! Djafan, I wish that I had been in the store to hear the songs. I wonder what they were? At the end of the video above when it says repeat, listen to, “Like An Angel Passing Through My Room”. She has her own angel song. SandyBeaches, The sign of a good writer is when the reader feels they are traveling with them on their journey through the story. You do that very thing plus you bring a special brand of artistry to the fandom. You have so many admirers. Like others, I had never heard of Sissel until David mentioned her regarding MoTab. But she was just a name until you, SB, brought her to life in the above video. (So David may have been in the audience at that very concert!) In addition to that video, I also watched Sissel in “Angels From The Realms of Glory”, equally beautiful. It was from the end of the concert; the credits were on the screen and you could see Sissel curtsying, receiving roses and shaking hands. What a joy it will be to see that upclose on the big screen when we have David’s MoTab dvd in our hands. Wonder which two songs your husband heard? And whether it was radio or On Demand or something else. Since you mentioned “Like an Angel Passing Through my Room,” I am bringing it here and also the original version by ABBA beautifully sung by Frida. I wish I could express how special this song is to me, to my life. But some things are just too precious to disclose. Bebe, I appreciate your comments, thank you. I believe that David would have been in the audience that particular night. I bet he loved her performances. I also watched “Angles From the Realms of Glory”, beautiful and as I just mentioned above Bebe, listen to “Like An Angel Passing Through My room”. It is absolutely enchanting. I am sorry, he did not know the songs well enough to know which ones he heard. I tried to figure it out though!! Angelica, thank you, they are both beautiful. This song is a new discovery for me. It sounds very meaningful to you. SB, Thank you for a very entrancing melody of words. The picture you painted of the bleak landscape and your steaming coffee was so very peaceful. I could see and feel your view and your heart. Yes, Sissel is wonderful. I was at that concert. I tried to explain to my mom the next day how beautiful Sissel’s voice had been, and I couldn’t. Fast forward a few years. I was at David’s concert in the Conference Center, watching him on the same circle that Sissel had stood on. I tried to explain to my mom the next day how beautiful David’s voice had been, and I couldn’t. Beauty is something that just can’t be explained. It has to be witnessed. David cannot be explained. He has to be witnessed. Tawna21…It is so good to hear from someone who was at that concert and then at David’s. Two wonderous voices, you have heard the best. We have always been in awe after a concert to the point that we can’t describe what we saw and heard for at least a few days and for some maybe never!! SB, absolutely beautiful. If you are not a professional writer, you should be. Acsphil, This deserves repeating. I agree with all. Angelica, I’d never heard “Like an Angel Passing Through my Room” beautiful but sad song. I listened to Cole, and now Sissel’s version of “Angles From the Realms of Glory” and they are beautiful renditions and I enjoy them very much, but then I listen to David and he just takes me to heaven, that’s the best way I could describe it. You hit it on the nail, but boy do we try and we may make some headway but until the witnessing we hear oh, I see what you mean. I hope we’re able to see some video or at least pictures of David’s trip to India. Thank you for the link. Emmegirl, thank you but I wonder as I wander and I find a few words once in awhile. But then, my subject is so great to write about. Abba may be credited for the original but Sissel nailed “Angels Passing Through My Room”. It was my first time hearing the song and I’m gobsmacked! Thank you! Yes, SB, ‘enchanting’ would be a good word to describe it. I agree Bebe, I love Sissel’s performance and I keep listening to it over and over while watching the pictures on the sidebar. Thank you gals for the songs the words and the spiritual experience. I followed your suggestion SB and when I got to the top picture again,it seemed to shine brighter!! (Thanks Angelica for the pictures and adding the songs. Fan Scene has details on David’s trip. (don’t know how to attach) I’m so excited for David’s upcoming experience and so proud of the fans and contributions thus far. SB I agree with Emmegirl. If you’re not a professional writer, you should be. I envy your ability to express yourself so eloquently. Here is the link from the original source, Angels for a Cause, detailing David’s upcoming trip to India! Thank you Heidijoy for the heads up! 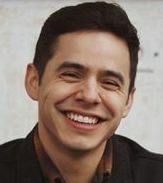 David Archuleta is flying to India to help Rising Star Outreach celebrate World Leprosy Day (January 31) David will spend several days there volunteering with Rising Star Outreach. David will ride with a Mobile Medical Unit to a leprosy colony and assist the doctors with their work. He will meet the patients one by one. He will have the chance to touch them, not only with his music, but literally, as well. He will be able to see the progress of the micro-businesses and talk with the business owners, giving encouragement and support. David Archuleta will spend time with the children at the Rising Star Outreach school (these are children from the leprosy colonies of India). They will teach him songs, and he will teach them songs. They will actually dance together. Stacey Tookey, (pictured left) a judge from So You Think You Can Dance, Canada, along with a Broadway favorite, Shaun Parry will be choreographing dances for David and the children. Also attending the celebration is documentary maker, Doug Jardine, who made the documentary, Profiles In Caring, about Rising Star Outreach, (which won an Emmy Award), he will be doing an updated documentary and World-renowned photographer, Jean Shifrin will be photographing the event. David will be inaugurating the Pathway of Hope, cutting the ribbon, and walking the path! 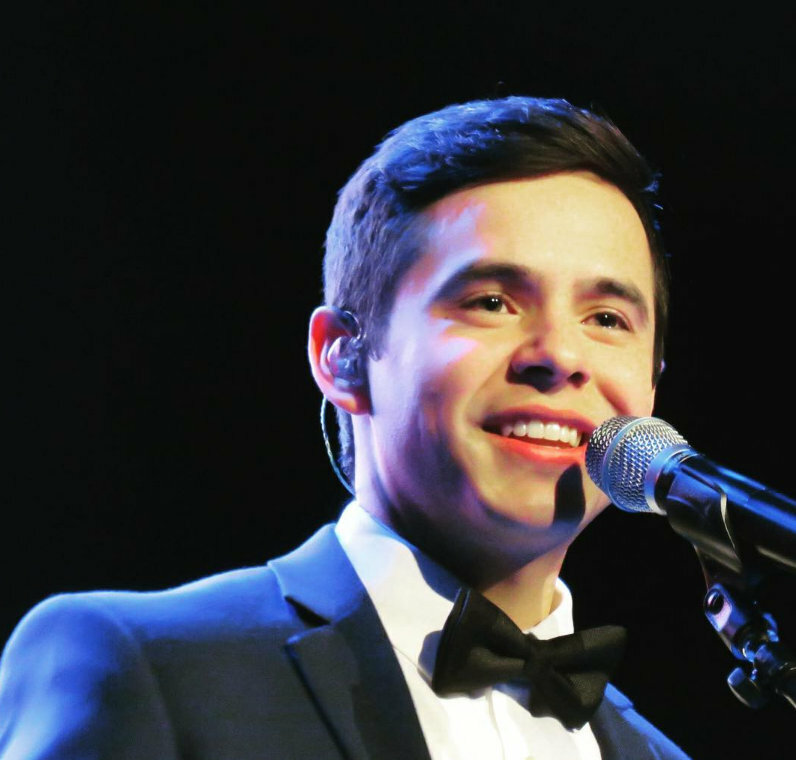 Archuleta fans world-wide have helped raise over $40,000.00 for several projects on the property of Rising Star Outreach, including the Pathway of Hope. A granite lined pathway created with motivational inscriptions from fans. Rising Star Outreach needs many volunteers through out the year. If you would like to come and experience the same things that David will experience, please visit http://www.RisingStarOutreach.org and click on the Volunteer in India link. Volunteer sessions are filling up fast for summer 2011, but there are a few more spots open in a couple of sessions. I couldn’t sleep so I came back to the site and found this amazing news. So much to take in. Traditionally, almost every time I write an article, something big happens in the news and this is David’s news. SandyBeaches, I have to express my absolute love for your beautiful essay. Like others have mentioned, I felt like I was there witnessing and feeling the whole experience. Angelica, the images are magic, you and Abbra are both magic the way you post these visuals for us all the time. I am constantly amazed at the brilliance of the moderators here on The Voice. Then the videos of Sissel—what can I say, breathtaking. I was in attendance when Sissel was a guest of MOTAB that year, just like David was. Our family has been to the Choir’s Christmas shows for the past eight or so years, and I have to say that the year Sissel was a guest has always been our very favorite, until of course, this year. Our family watches the DVD of her guest performance every Christmas—this year was no exception. I hope everyone in the world will watch David’s DVD next year and for many years to come. Thank you for sharing these beautiful thoughts and videos with us. I am having my surgery (finally) next week and will be away for a while—please know how much I love each one of you, and how I will miss being here every day. Oh,yeah! I am so excited about David going to India!! I had wondered about it all month since Ron (remember my husband’s cousin) told me last July that he and David would be going to India for Rising Star Outreach in January. As the month drew on I wondered if that was still going to happen. So of course I was so happy to come here and find out the news that he will be going this Monday! I am so happy for him. He will be awesome and everyone will love him so much. Well my gosh! You guys are all too much beauty and sweet love, then the news of exactly what he’s going to do in India, and it’s going to be filmed! What an amazing young man we are supporting. My heart is full to bursting. I need to go spazz out. Pattirae, we wish you all the best next week and through Shawna we will be keeping in touch and hearing from her hopefully when we can be in touch with you. Fortunately because of email we are not ever far away. FG, I can almost hear you saying “Well my gosh! You guys are all too much beauty and sweet love”, because it would make us LOL! What an incredible trip this will be for David. I hope it helps raise awareness and donations for this very worthy cause. Can only imagine his excitement. Pattirae, thinking of you and God Bless! Apologies for not mentioning earlier – the pictures for this wonderful piece by SB are as powerful as the words. You guys are awesome. You will be in all of our thoughts and prayers, and tons of positive energy flowing your way. David almost didn’t mention India, he is so not trying to bring attention to himself. I’m so proud of him. Pattirae – good luck & prayers to you! The blog – soooo sweet. God I love him so much I don’t even know what to do with it all. So we have our assignments to keep us busy and productive while David is “out of town”. Taking care of his flock before he leaves, haha. Wants us on our best behavior while he steps out of the room. Cannot wait to hear of his adventures in India. Patti, my thoughts and prayers are with you. Dayzee, “Wants us on our best behavior while he steps out of the room.” haha Love the way you put that! Pattirae: Will add my prayers that all goes well and Wish you a speedy recovery. Hello Pam!!!! Isn’t the pride sometimes overwhelming to the point of tears? FG, What to do with it all? I know. Dayzee, I’m tickled by his tasks, yet I go do them all…lol A vlog upon his return, will we see a difference in him? I’ve never done anything remotely close to what he is doing and they say this kind of experience leaves a marked impression on one, I wonder what we will see. I don’t if I’ll be able to take it, he already seems out of this world to me. As I was thinking of David’s trip to India I thought of these words you wrote in your wonderful piece and I just know that all David does has been guided by prayer. Pattirae, my thoughts and prayes are with you. Stay safe and warm and get better fast! I know you will be missed! Dayzee, I love the “wants us on our best behavior while he steps out of the room” …..He so wants this to be about the people and not him.I also hope he realizes that it if thru him that we learn of these needs and wouldn’t know how to help otherwise. So thanks to David. SB, He is such a prayerful and aware young man. He has a heart of gold. Just want to do all I can to support him in all of his worthy endeavors. Love your beautiful post! Tnank you for sharing. I know this will be life changing. Wonder if he will come back with more light in his eyes. 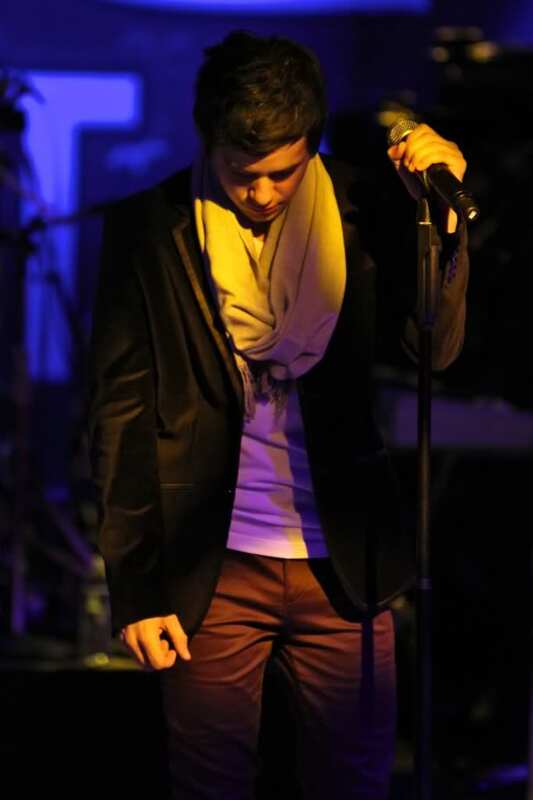 There will be more emotion come out of him when he sings his songs. ……. I can’t even imagine. God bless David. 45.Dayzee.. you-so-funny!hahaha He knows his “flock” well doesn’t he? I have never known anyone, or known OF anyone, whose heart is so GOOD.To the core…good. To know what is important in life, and how real happiness is achieved takes so many of us half a lifetime to come to. He is too young to be so wise. Is he going to one day in concert say”I have a surprise for you all”…pull a zipper down from his head to his toes and reveal a wise old man under that beautiful disguise? 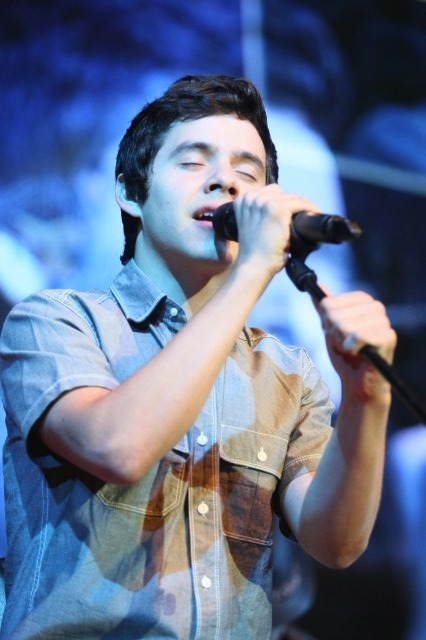 I love you David Archuleta. Well geez he isn’t going away very far like he said, “I am just going out of town for a little bit”. Next subway stop…India! No, we are very proud of all of David’s endeavours. I didn’t think about it, but he is a big part of the Outreach program and it was bound to lead to a trip but I just wasn’t paying close enough attention. It didn’t really hit home until he said it and wow he is going to have a dance choreographer. Finally someone is going to get him to dance and he will be very good. This was a most interesting article. I had not seen Sissel perform until now. She has a lovely voice and presence. Your writing is equally lovely. Thank you Abrra, I went on to Sissel’s site and registered. I looked at a few videos while there and now I do not have Youtube at all. Possibly I picked up a virus? Off to the shop tomorrow. Happy to have my iphone for the vlog. Hmmm, the magic that Pattirae #37 wrote about, could that be ‘The Voice Video Magic’? Just guessing and hoping. “I have never known anyone, or known OF anyone, whose heart is so GOOD.To the core…good. lol, It just doesn’t add up. I may be slow, what ‘The Voice Video Magic’? I couldn’t be more proud of David; so humble in this vlog. Where he was going was almost an afterthought; so as not to call attention to himself, instead to the people in India. I’m so in awe of what he’s doing. He’ll get to see one of his charities in action and how the money is helping people afflicted with leprosy. He can’t leave there without being affected. I’m also interested in seeing the effect David’s kind heart has on the people he visits. My sentiments exactly, Sky, TY! Yes djafan, “The Voice Video Magic”. That is when The Voice Video Makers make a video, you remember? I had a dream, (well not really but it sounds good), that the song by Sissel, “Like an Angel Passing Through My Room” was the music used for a recent video about David that included pictures from the MoTab’s concerts, NYE and from The Grove. It was stunning. It brought two exceptional artists (like twin singers to me) together and it was magical. David is such a sweet and gentle soul, I know it will be difficult, seeing so much hardship. I hope he takes comfort in knowing that he has played a part in helping to better their lives. I can’t begin to imagine how this trip will affect him. SKY: wise old man in disguise? LOL You may be right. SB: “Next subway stop…India!”<– This made me laugh. Like it's just around the corner. David is a very special young man…how does someone so young have such an affect on me..someone so much older?? Patti…good thoughts and prayers to you! Listen to lots of David songs to get you through it all. I wonder if there will be a twitter get-together for him before he goes? It would be a warm send off from his fans. hmmmph. What a bossy britches he’s becoming. He’s not the boss of me. Skydancer said it, “he knows his flock well”…at your bidding D.
HI! This is off topic but LOOK! look what we can do with David’s help! I am so happy! @wendynjAFAC Oh my heck, just got an email from RSO, FORTY bricks were purchased today !!! That’s $2000 !! Amazing! Angelica #60—makes me laugh.out.loud (I had to spell it out ‘cuz I’m still laughing). It is funny that what he says, we do. SB–yeah, he may need a passport, but it’s just the ‘next subway stop’! Dayzee–and it ain’t no little flock either, and some of us ewes are pretty dang aged and set in our ways, but our master speaks and we follow. SB–all this light-heartedness does not detract one ounce from the beauty of your article, I feel it brings home the idea that beauty can create laughter, and laughter can be beautiful. Does that make sense? SB#56 Sounds like a winning-video to me! That’s a question that goes through my mind every day. There’s no simple answer, is there? I wonder if we’ll find out when he’s leaving. 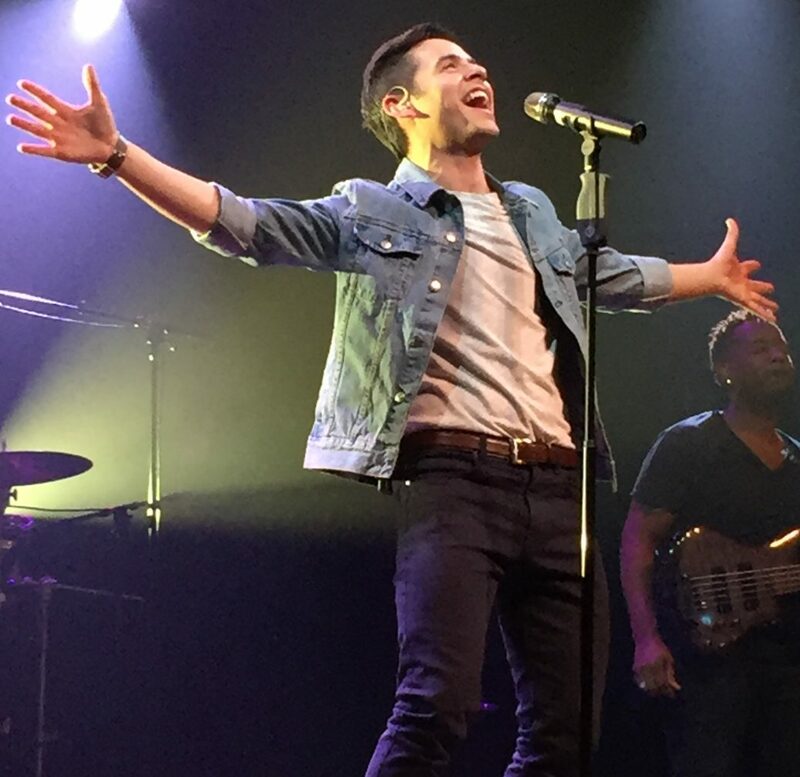 Vote David Archuleta – Fav American Idol Alum! SB, love your writing and love your thoughts. I love this song and didn’t realize Sissel sang it with the MoTab. Thanks for sharing the video. Pattirae, my prayers are with you and wishing you a successful surgery and speedy recovery. We will miss you while you are away. MunkFOD, that is wonderful news that 40 more bricks were purchased today and I bet that’s not going to be all. David’s fans are awesome. Thanks to all who gave me well wishes for the kidney stones. This is the first I’ve been able to get back to my computer, but all is well and I’m on the mend. Djafan, I went back and read your recap. I could picture everything you said since I was able to go The Grove for his Christmas concert. Oh how I wish I could have been there with you this time, but your recap helped me picture it. What a marvelous night it must have been. Thanks for sharing. Angelica, does that mean we aren’t getting your post? Taawna21, #63, that makes a lot of sense. Anyway, this ‘flock’ is always close to laughter and quick to recognize beauty. They just go from one to the other then back again. I am kidding of course. But they love beauty, that is why you saw so very many in SLC. It was a long way to go, but they couldn’t miss it. SandyBeaches–Sorry I’m late reading and commenting your lovely article. But , as MT said everything I could possibly say –has been said. And beautifully said! I don’t know how long ago her performance was, maybe it was how they did it then, but she always sang to the camera–facial expressions yes–but her body rarely moved–it was like some recitals I remember, where the singer stood with one hand cradled in the other at mid waist and that was it. David on the other hand is singing to the audience, never moving off his designated spot, but fully communicating with the audience–with animation–emotion–subtle body movements and of course the diva hand. And smiles, lots of smiles. He was telling them the story of every song and how happy he was to be there doing it! Pattirae, I will pray for you and for your surgeons. May it all go well. I’ll be looking for good news of your recovery. I wonder what David thinks about when he is planning his vlogs? Does he check out what he looks like or what he is wearing first? Or does he just jump in there and makes a vlog on the run? He was so down to earth in this one in particular. He just came from exerciseing, sweating profusely and wipes the sweat off his face as he talks without any thought of how it looks to his viewers. With all of his fame and priseworthy accomplishments how can he have no ego? It’s a mystery to me. He’s such a good guy!! Dakgal, I loved your explanation of how David moves us…”David is singing to the audience”, “fully communicating with the audience”. He draws us in and includes us as part of the performance. We feel what he wants us to feel. That young whippersnapper certainly knows how to keep us from whining. How can we complain about no concert when he is off walking the walk? Making the world a better place. There is no doubt this world is a better place with him in it. My world would be mighty drab without David. PattiNC, Thanks for the link. Good advice for sure. Wail now, I didn’t say THAT! It’s actually someone else’s piece that I would be doing the layout for. It will still be posted sometime down the road when he isn’t so mindful of not being the focus of praise. Let me say, all kidding aside, I totally understand his desire to make this trip not about him but about the people he is going there to serve. Dakgal…Sissel is from Norway and she sings similar to the Celtic Women. Orla Fallon from Ireland sings with the same still body language. The concentration is on their faces and hey, they are not Latinos!! Here is a song by her with a little more connectin to the audience but I do love the excwptional video Angelica posted above “Like an Angel Passing Through My Room”. Please excuse ‘sp’ errors…Good night! Aaahh, SB, such a beautiful post. Just what I needed after a hectic day. And David…he quietly leads by example. All the hand-wringing going on about management, promo, and album sales…and what does he do? He puts it all into perspective by focusing on what really matters. Another beautiful and timely video post. Thanks. Beautiful quote and it goes well with the quote by SF recently placed on the top left sidebar. Dayzee#71 “How can we complain about no concert when he is off walking the walk? Making the world a better place. There is no doubt this world is a better place with him in it.” <<< So well said. SB, such a beautiful article. Thanks for sharing. David so awesome, nice vblog before heading to India. He’s really a good example to everyone, so proud of him. Another stormy day but that is OK! SF has written one of the most classical quotes ever written about David and his fans. We have been watching videos of Sissel while we read comments and talk about David’s “trip out of town for a few days” and she so nicely complements David. I would love to see them perform a duet and that shows I always have a few dreams going on. The fact that David doesn’t want any attention about his trip to India, while not a surprise at all, just more firmly cements my faith in his spirit. I feel like some crazy fool that put all her money on the longshot horse. No one believed, no one had a vision. But I believed that he was in the race for a reason. Everyone told me I was such a fool. When he won, people flocked around, saying they knew along. I sat quietly and smiled, with the knowlegde that it was I that knew, and that my joy wasn’t in my payout, but the victory itself. According to the world, supporting David has been the most longshot bet I’ve ever made. It never felt that way to me. I knew he was a sure thing from the moment I saw him. God Bless you David. Beautiful article, SB. I can tell that you were inspired, so very inspired by your Motab experience. FG, There were many of us in the same ‘sure’ moment and sometimes others just can’t see the same way. I am happy that I saw him from the start and maybe that is because some people have real visions. Yes, watching David sing this Christmas was like opening the biggest treasure box of music, (and to use the descriptive word that is used for Sissel) he was bedazzling! I think that maybe Paula INVENTED the juice! LOL love her. FG…You are indeed ‘funny’…thanks for the laugh. #80 What a great was to start the day! Sending prayers and best wishes to David as he embarks on what I’m sure will be a life-changing experience. Hi Kaycee, it is nice to hear from you! The video above can make a tear or two!! I’m glad I was able to put my experience on paper and convey the magical feeling I felt. I’m sure will bump into each other. Hope your feeling better. Dak, I’ve gone back and watched both David and Sissel, your observations made me think that maybe that is part of the reason that though I like and enjoy other artists none connect to me emotionally like David does. SB, Thanks for #73 & #80! Dak, you did notice something unusual and unique because I can’t think of too many at all who are the same as David. I am at a loss for words to explain how he does it but he does reach out when he can, he makes as much direct eye contact as possible. He speaks like he is talking one on one but he just lights up the stage as soon as he is spotted. He is spellbinding with his smile and everyone looks like they are in a spell after he sings a concert. Whatever it is it is priceless. SF, It seems that David is either on his way or getting ready soon because of these tweets. I have a request, could you please post a prayer? The “Stand By Me” video at The Capitol brought back memories. There is a repertoire of songs David has developed over the last few years that he can take to India including Somebody Out There, Stand By Me, Things Are Gonna Get Better, Angels, When You Believe….And the list is growing! FG#91 And the longshot prevails! Idk but I can wait to see what Stacey Tookey has cooked up for David and the kids it that dance bag! Yes, the prayer. Please. Thank you. David wants this trip to be “low-key”, without any fanfare out of respect to the people & children he is going to visit & shower with his TLC. I hope he can appreciate how difficult it is for his fans to keep anything he does “low-key”, but out of profound love & respect for David, and just because he asked, I know we will do our best to go on as if he’s “just away, out of town” and not out of the country in other side of the world! Please take care of David. Watch over him and protect him from all harm. Surround David with those who will love and support David unconditionally as we, his Archangels do. Give him assurance when he feels doubt and give him joy when he feels sad. Keep him always in your protective arms when he is traveling near and far. Keep David healthy and his voice clear and strong as he fulfills his Destiny. May he continue to encounter goodwill and happiness wherever his life’s journey takes him. May David always know & feel the love and pride we feel for him. David, Have a safe & peaceful flight. Thank you for all you do and for who you are. Keep with you all our love, support & prayers always. Contigo siempre! We will be with you always! Thank you Silverfox for posting the prayer. I always feel anxious when David is flying, and especially on such a long trip! But the prayer definitely makes me feel better about it! Thank you so much. I know David is in God’s hands but I’m only human and even though I don’t out and out worry, I realize that this is a big trip for him. Your prayer always helps and just feels good knowing that it’s posted for all who wish to pray it, group prayer is so powerful. David and his low key humbleness, lol That doesn’t stop us from supporting the charity that he’s traveling with, an entourage that includes an award winning documentary film producer, choreographer, photographer hmmmm. For this I will be patient, David said he will vlog upon his return and share. But in the meantime more to come about Rising Star Outreach and Angels For A Cause. Hello Kimmie, come back often!!! “I started following David the singer, but it is David the person that will keep me following him as long as I am alive.” I think this is a true statement for many people, more than we realize. I really enjoyed his vlog. My favorite part, “I think it’s important to LEARN to appreciate what you have.” For me, this is a huge part of my attachment and appreciation of David. First, he is saying it is important “to learn” (as in active process), Learn to appreciate what you have. Appreciation is not just something that you wake up feeling each morning, but that it is a learned, conscious process that doesn’t end. Secondly, appreciating what you have is so encompassing. Learning to value your life, health, family, the good in “this moment”, the lessons learned from the bad, your ability to learn and move forward, are things I think David thinks about each day. David’s young wisdom helps me see happiness isn’t “given” it is earned and learned each day through our own efforts. Wow,,, I really got carried away! I have no idea if that made any sense at all…. Plus,,, he’s such a Cutie Patootie! Where else could you find a wise-cutie patootie! Thank you for David’s Prayer SF. I love to read it, it feels like we are passing along our best wishes to him. Djafan said…it feels like a powerful group prayer, (and it is powerful-. I don’t know why but I am loving all the comments that have been made today, Jan.26th. Some made me laugh, some cry and some just made me feel good. What great people you all are!! FG #81 I feel the same way too. Just wait world but don’t wait too long because every day with David is a blessing. I get so mushy on this site. SB, what a beautiful post, pure poetry! It is indeed a bleak midwinter here but your lovely words and Sissel’s voice have warmed this night, thank you! I remember David mentioning in an interview about attending Sissel’s MoTab concert but I had never heard her sing live until I watch your videos here … ethereal and haunting. wow. Thanks for seeing what I was trying to say in my post. There are entertainers who perform “for” the audience, and there’s nothing wrong with that, whether it be just them or backed up with all the bells and whistles. But David always performs “to” the audience, I don’t recall who said ” He reached out, grabbed me and shook the living stuffing right out of me” but they were right on!! “with” your kids, there is a big difference and David has that knack with audiences. One last comment and I’ll shut up–David’s tweet about basketball is one of his best–takes me back to the day when I would get in a game of “one on one” or “horse” with my sons on our bb court—but I was the one that always got “waxed”. Good times. We worry about David like he’s a member of our family yet we can’t be privy to details of his trip. Your prayer is a comfort and I really appreciate your posting it here. Been watching some videos from Rising Star Outreach and they make me teary-eyed. I can only imagine how David will feel experiencing it firsthand. This trip has to have a profound effect on anyone. Bless David and his entourage as they embark on this selfless journey. “I really enjoyed his vlog. My favorite part, “I think it’s important to LEARN to appreciate what you have.” For me, this is a huge part of my attachment and appreciation of David. First, he is saying it is important “to learn” (as in active process), Learn to appreciate what you have. Appreciation is not just something that you wake up feeling each morning, but that it is a learned, conscious process that doesn’t end. You grasped so thoroughly what he was saying in that vlog. He would give you an A+! Thanks for the prayer till he returns. bebe #107—I’ve spent hours in the last few days watching videos and reading about RSO and, like you, I find myself teary-eyed. I am haunted by the feelings of love and compassion that I have felt towards these people. They are so fortunate to have someone as compassionate as David coming to see and serve them. His most beautiful amber eyes connecting with their beautiful black eyes will be the epitome of love between people of two completely different worlds. God bless David as he steps further into his Destiny. Good morning, although stormy with a mix of everything! David’s trip to India is personal to him, but I thought that I would add a video for anyone who wanted to participate in the fundraising. Credit for the video goes to strangerhood11. The sidebar has the information but as ever David’s voice is inspirational to listen to. Angelica, I awoke very early because our puppy wanted to play. I scrolled down the comments and there was the picture of a cat looking out the window as if waiting for David’s return. I lost it for just a moment(s). Angelica! We are sharing the same thoughts and so early!! I looked around and everyone was either still asleep, working, in another state or country or caught in a storm. I have had coffee and muffins already with Blueberry Ice. I think David will be just fine. He does have a long flight ahead of him, but God will take care of him in his travels. I have total faith in that. I believe this will be life changing for him and he will be glad to share his experience when he gets home. It will be weird and kinda lonely to not hear from him that much until then. But just think of how it will be when we do hear of his journey. dakgak, dja, I remember reading that Lupe was on some sort of competitive team in her teens and a good bb player. dja,I think he is a more of an athlete and athletic competitor than he leads us to believe. Angelica, could not have posted a more perfect pic. Can we keep it until he returns? I went back and looked at a video of David on American Idol singing Another Day in Paradise. After singing Imagine the week before, Simon told him he was getting a bit “gloomy”. Most people who have everything they need, don’t want to think about those who have nothing. David said he wanted to bring attention to those who were homeless and had nothing. Even at that early stage in American Idol, he was trying to do what he could to draw attention to those in need. I’m sure that’s why God has blessed him with this amazing voice and celebrity. He knows David will use it to do whatever he can to make a difference in the world. For those of us who are true fans, we love his voice, but we know it’s about more than “The Voice”, as has been pointed out in other comments. We love his soul and spirit. He shines from within, and this trip to India will just intensify that glow. Paula once told him “he had a beautiful aura about him, that he was just glorious.” I think we can all agree to that. Welcome to The Voice Blueberry Ice! Nothing Else Better To Do, what I would give just to hear David sing this one. Your comment is so full of beauty and he also has my undying support and devotion. SB, I remember that video from back then, thanks for bringing it today. Kimmie, I know you are right and so looking forward for his return. Darn he is just so missed. That cat Angelica put up made me cry and her cats usually give me the weebeejeebees. In complete and total unequivocal agreement. Wendy from Angels For A Cause tweeted! Kleenex ready! We have a snow day here in NY. Add eight more inches to what we already had. But the sun is shining and it’s so beautiful outside! The people David encounters are going to fall, hook, line and sinker in love the same way we have. And when they hear him sing they will fall even deeper. Welcome to The Voice! It’s always good to hear new voices! We know there are many more fans out there and so enjoy when someone new decides to join in. How grownups can learn from such a young man is a question we repeatedly ask ourselves. He has changed lives in so many positive ways that we’ve almost lost track. But in our hearts we feel it; he gives us hope for a better future. Looking forward to more of your comments. Thanks for the video in#112. “Save The Day”, such an inspiring track off the Japanese cd; the lyrics speak volumes. Thanks for your comment. Paula really got him, from the beginning, more than the other two judges. David buzz around the net! 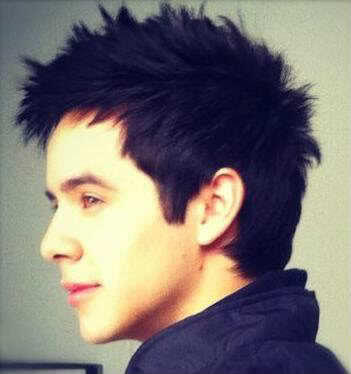 Are David Archuleta Hairstyles Popular? 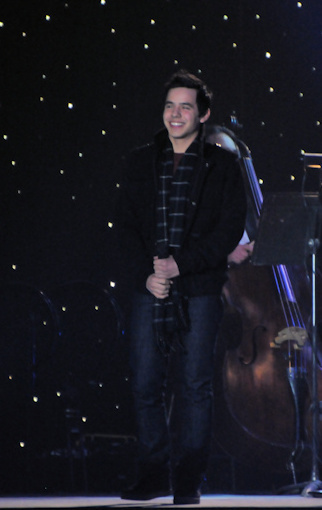 David Archuleta is one of American Idols sweethearts. 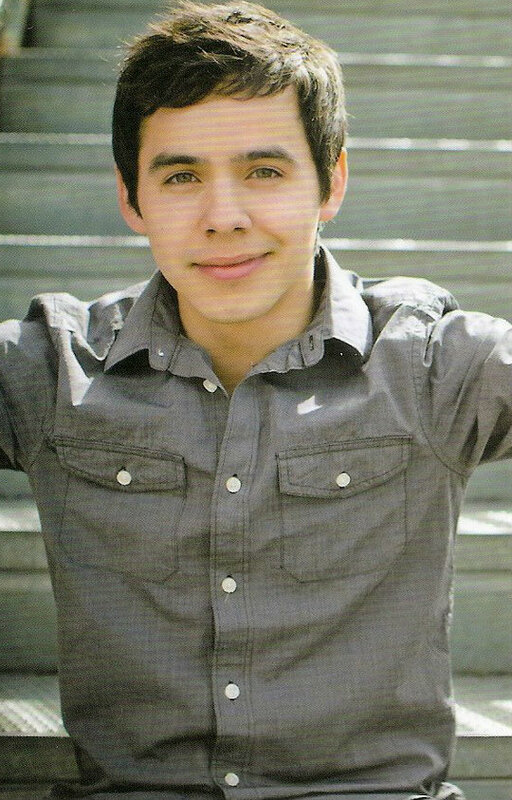 He is a young attractive man with a great voice but are David Archuleta hairstyles popular? When someone becomes popular with the younger crowds their hairstyles usually become very popular and people start copying them. 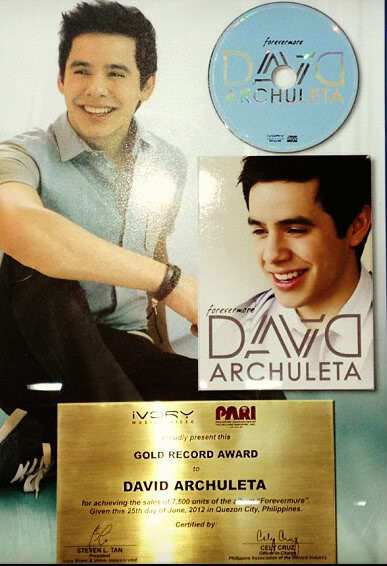 Is that the case with David Archuleta? 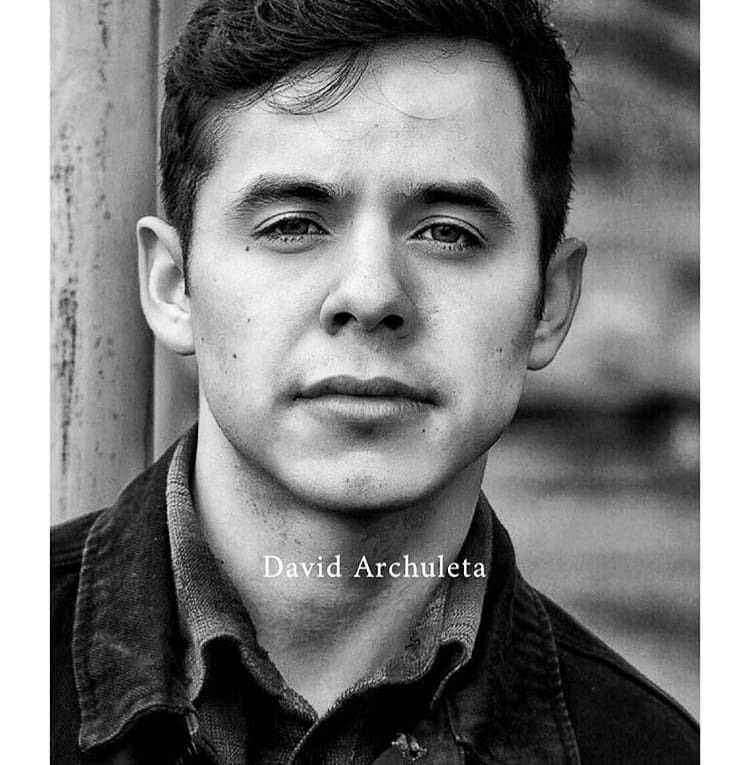 David Archuleta quickly become one of the favorites on American Idol because everyone loved the different hairstyles he had every week. 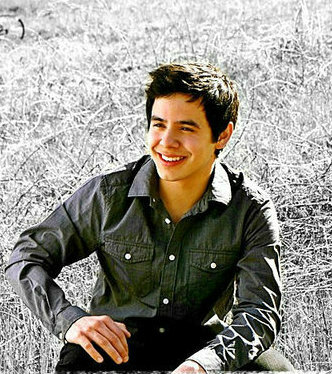 Every week of competitions Archuleta came out with a different hairstyle but always with the same haircut. The haircut that he has is very versatile. 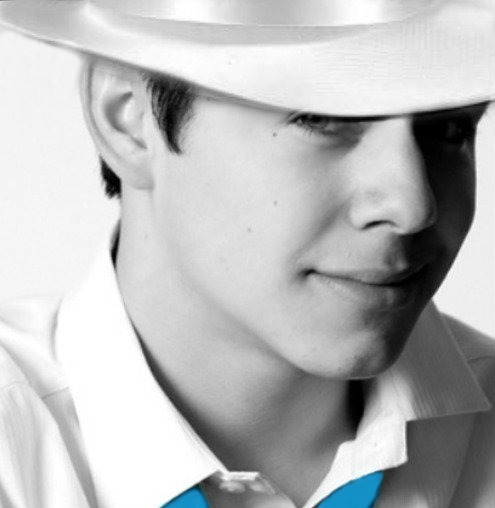 He never had to cut his hair but was able to create new styles that had the crowds going crazy for Archuleta. The shy 17 year old became a star overnight thanks to American Idol, his amazing voice, and his awesome hairstyles. 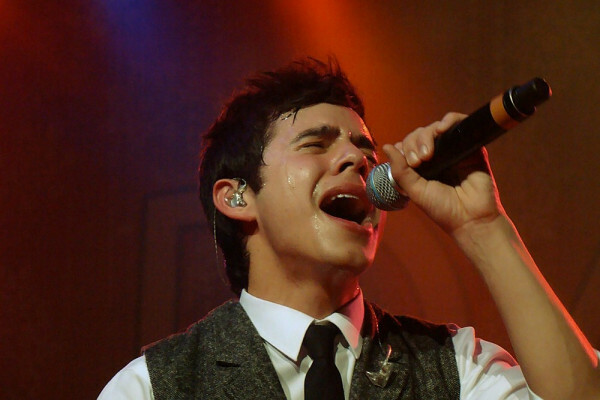 Boys and young men around the country were going into hair shops and asking for the Archuleta haircut. The great thing about the haircut is that you can wear it several ways and they are all easy to copy. A little hair gel and anything is possible with this haircut. 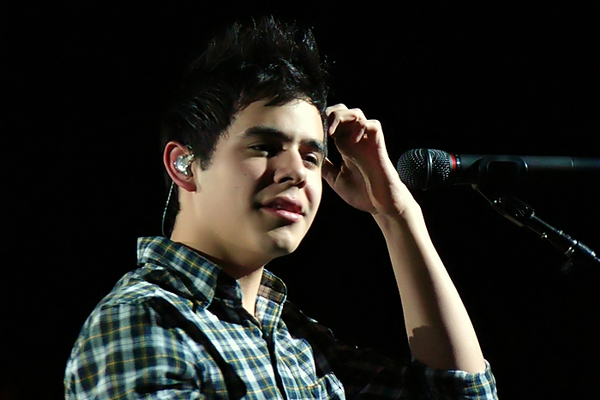 Archuleta wore his hair in frisky spikes, or smooth and sophisticated depending on how he felt at the time. This is a great haircut for any guy to have. 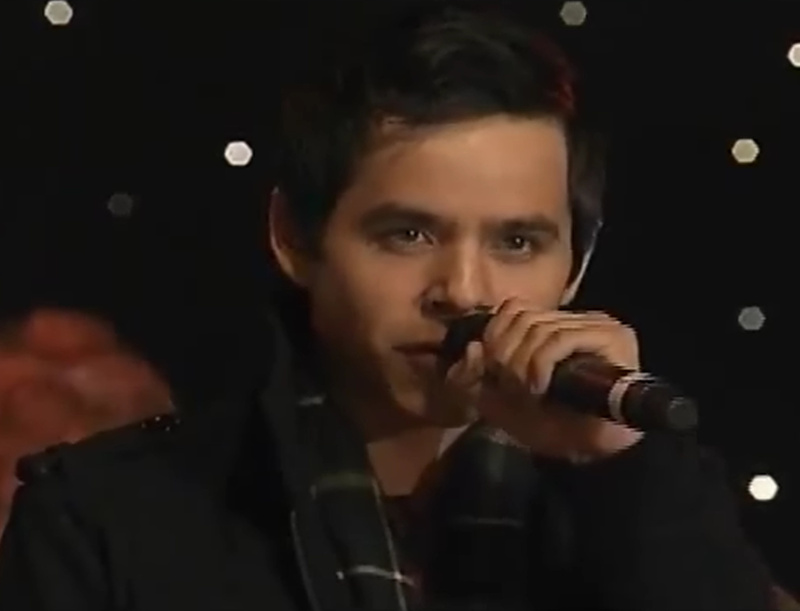 Archuleta has already showed everyone the many ways you can wear this haircut and everyone of them looked fabulous. You can spike the front, spike the middle, wear a type of Mohawk, or even wear it spiked all over. 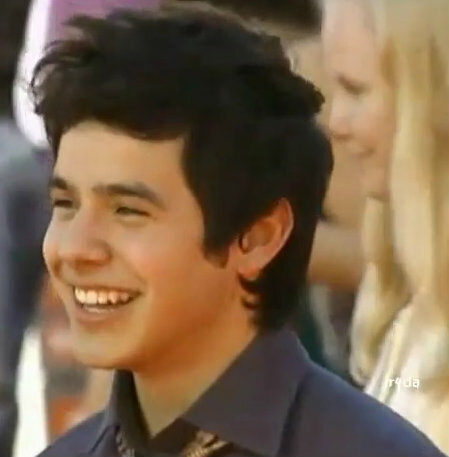 Archuleta’s hairstyles will be one of the things that people remember about this young man for years to come. That and his amazing singing ability. This young man could belt out a tune and have the young girls swooning. 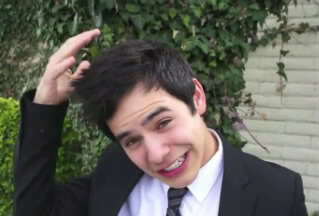 So thank you David Archuleta for the knowledge of your hairstyles. AOL Music's 21 Hottest Music Stars Under 21! Bebe—No way –I agree with Emmegirl-I remember from reading David’s book ,that Lupe was a bball player–so I think she waxed him–he is out of practice ya know–and she stays in very good shape. And she’s young Wah! I’m just tickled to death that they got to do something like this. I could almost hear them giggling. I agree with DJA too–Angelica can we please keep the cat–pretty please? These dang after thoughts—Angelica, I promise I will feed him and change the litter box. And I shall name him “Sentinel” or perhaps to help keep us occupied -we should have a cat naming contest. Dak: Would love to see footage of that game! Makes me happy that he played bball with his Madre. They’re not listed. At the bottom, add David’s name and the song(s) you want to vote for. 4. Request David’s music on your local stations. Dak, name the cat, great idea! I’ve added SJTookey and WendyAFAC twitter to the right side bar at the bottom for if anyone wants to view and read any India tweets! I’ve also added Pamela Pikes latest article on David on the right side bar. It’s a lovely read. Bebe– OMG Thank you for those tweets–now I can breathe again! SB, I actually read this article the minute it was posted cause I get an email notifying my of updates. I was lost in it. Your writing talent is absolutely marvelous, woman!! You really need to write a book, I tell ya!! Then I went back and read it the way you told us to, and I was even more lost in it. So beautiful and this is the first time I have ever heard Sissel. No wonder David loved her with the MoTab and I am so glad he was able to be there that year. I guess we are to assume maybe that David is safely in India now. I sure hope so. I went to India about 5 years ago and spent a week traveling through that country. He is going to love it!!! The people there are so HAPPY and so sweet. Especially the children. And to be amongst those children with leprosy will be something that will change his life forever. One thing that I thought was so funny on my travels through India, were that all the people seemed to have cell phones and little TV satellites attached to whatever kind of home they had, even the cardboard ones. The woman would be walking down the street with a huge bucket on their head full of water, holding it with one hand, and talking on their phone with the other one. Truly ironic, I thought, with the circumstances of their living conditions. I hope he gets to do some sight seeing and maybe gets to see the Taj Mahal. That was an absolutely stunning sight and right outside the gates of that magnificent edifice, is poverty everywhere. I will never forget my trip there, ever, and I am sure he won’t either. It really makes you feel so blessed to have all that you do, but it also makes you aware that to be happy, you don’t have to have all that we do. They were the happiest people on the earth I felt while I was there. But on the downside, traveling in India is like taking your life in your hands. They are the craziest drivers I have ever encountered anywhere and I have been to alot of these countries, like Thailand, Malaysia, Singapore, Hong Kong, Vietnam, Japan, China, Egypt, Dubai and Italy, Germany and Switzerland, and India drivers are craaaaaaaaaaaaaazy!! But I survived and so will he. The people that drive you around know what they are up against. They drive in it all the time! I just know, had I been driving, I would not have survived one day there!! Another little cute tidbit I picked up the other evening at dinner with a friend who always works with the MoTab and their broadcasts every Sunday. She directs the camera’s to where they are to shoot and at what angle and how high and low to go and who to switch to and I was asking her how she liked David, and she said the first night she thought he was kind of breathy, but by Sunday, she was in awe of his talent at such a young tender age. She was pleasantly surprised that he did so well, cause everyone was apprehensive about having a “pop star” sing with them. The choir loved him and so did all the crew that worked the concert. He was so down to earth and so humble, they were amazed, especially since he has been a celebrity for three years now! They just hope like we do, that he will always stay that way, and so far, so good!! Also, she told me one little thing about trying to keep David on the camera at the right angle and all, and when he would sing that note in “Silent Night” that he tended to drop down to hit, aka the “Hunkerdown” she would lose him every time, and sometimes we would see half of David or no David at all. Just whatever was behind him. She tried so hard to figure out where he would go down to, and just was never successful catching all of him that she wanted. I laughed so hard. I told her what the fans call it, and she laughed and then I explained to her about his vocal paralysis, which she had no idea about and that seems to be how he hits the high notes and the long notes by “hunkering down”. Now she is even more amazed that he sings the way he does, and I told her that is why when you first hear him, you think he is “breathy” like she said, but it is just the tone of his voice because of the paralysis. That is why we love him and “The Voice” so much. It just takes you to another realm. Well enough said by me. I am off to make some more hats for the cancer centers around the world. Having a blast doing them and creating some fun ones. Shawna, Thank you for all the interesting info about India and the MoTab experience. Love that part about the camera and hunkerdown!! You sound like a busy lady! Heidijoy, I am not that busy, I have just been fortunate to have a widowed mother who took me to these places with her and they were three week to a month long cruises!! Awesome experiences and I even climbed “The Great Wall of China”! Now that was probably the most memorable experience of my life!! I have been blessed to have been able to see so many cultures and how they live! It was really an eye opener for me and really helped me appreciate all that I have! Especially my 11 grandkiddies:))))) and that they are all strong and healthy! Shawna, I am pleased that you had the time to read the article! You are very busy with some special people to care for right now! 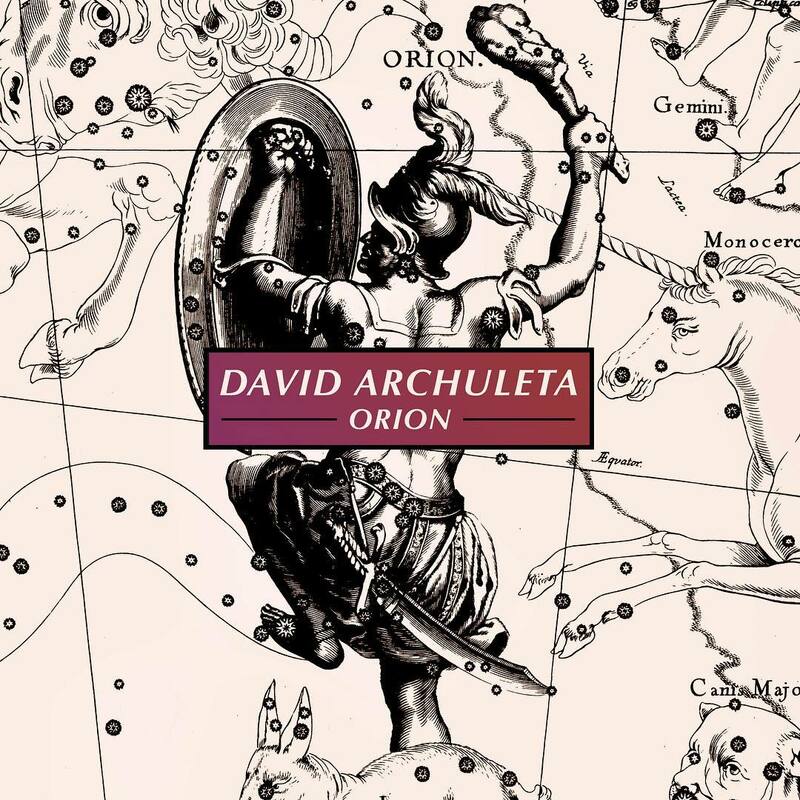 Sissel has me totally fascinated and I listen to her while I read all about David especially the song “Like An Angel Passing Through My Room”. Your travels have been amazing and it is so interesting to hear about your trip to India, about the people and their present day lives. I know that we will be learning so much about India over the next several days. The experience for David and then for us will be extraordinary. The choir and other members must have been a little apprehensive about David because he is first a pop star, but when one listens to ‘Imagine’ or ‘When You Say You Love Me’ you know that he is so much more than a pop star. Some of the greatest singers for example Andrea Bocelli and Sissel sing pop music as well as classical. David had a busy schedule up until the MoTab concerts providing little time for voice rest. I read something awhile ago written by Andrea Bocelli where he said that a singer must not over use his voice in order to keep a long lasting healthy voice. My hope is that in the future David will have someone who will be ever so caring and watch out for his schedule and his health including the absolute need for voice rest. We became familiar with that term when he toured and was not allowed to speak some of the days before a performance. Voice rest is not uncommon for singers. When he hunkers down, I know that he is working hard to give himself the breath he needs. He is truly an amazing singer. Thank you once again for your comments Shawna. SB— I read it way more than once!!! I always find time to come here and read all the comments along with each article! And every night I read the article again first and then the newest comments!! Dak emailed this photo to me to post for her. I had a good laugh! Shawna since you mentioned your BEAUTIFUL winter hats, I am going to show everyone what they look like. You have a heart of pure gold! addicted to his voice.” Now I’m simply just addicted to him! February, a day after my birthday. What a memorable date it will be! The thought of David being who he is and doing what he can to help others in need is what has helped me keep my sanity and belief in the goodness of man. How timely that he stressed the importance of learning to appreciate what we have right now, because I also realized who my true friends are through the support I have been getting from them and my family since they found out about my circumstances. Blueberry Ice #111 & Lynella #119. I loved everything you both wrote in your respective posts. I have the exact same thoughts! Shawna # 130. I enjoyed reading about your experiences in India and the MoTab insider stories. will open up and tell me what she feels about his music. Thanks for all your comments. They keep my spirits up in my down times and make me even happier during good times. I hope David is safe and enjoying his trip to India. I’m sure he will gain more followers after immersing his compassionately adorable self with the people there. They will become his captive fans in no time at all. That’s for sure! It’s about 8am Friday morning in India. I’m happy about starting David’s day with a prayer..
Hope you had an uneventful & peaceful flight. Have a wonderful day filled with wondrous new sites & sounds and all you hoped it would be. Thank you for all you do and for who you are. Keep with you all our love, support & prayers always. Contigo siempre! We will be with you always! TAKE CARE. Thank you to everyone who has been here commenting these last few days as we wrote about David’s music and discovered the beautiful voice of Sissel. I am excited to hear about David’s journey while in India. He always has surprises for us and we will probably be overwhelmed once again by all that he has done. Thank you for sharing about your trips. Since I’m not a traveler I’m always fascinated with those that know so many places and have been amongst other cultures. I learn about other cultures from the comfort of my couch or lately from the computer chair because of David. Those hats you’re making are adorable! You are walking with walk, something I need to do more of. Acsphil, Interesting how some have false information and accepted as fact and don’t give David a chance. I would like to know what your sister thought if she tells you. I hope work gets better for you, I personally know the frustration your experiencing. SF, Thank you, Thank you, Thank you! A much needed prayer, I don’t know if you’ve had time to check out twitter, David is truly being missed, so much so that a welcome back virtual card has been started. Reading the comments brought me to tears, I love the love for David. You could sign it here. Shawna, Thank you for sharing your India trip with us! I read your post to my husband, and we both laughed-out-loud with the visuals running through our minds! I also found some relief and comfort in your words thinking about David and what is in store for him on this journey. Sandybeaches, your words bring a calming feeling to me. You remind me to think about slowing down and enjoying the moment in all this go, go, go life! Thank you to the ‘bloggers’ who liked the post (the admins. were 2 !!!) Very appreciated! Did you ever notice that you get mischievous between the end of an article and the start of another? Oh my god. Abrra what a beautiful pictures, I love snowy but not for too much time. In my country (Colombia) has never viewed something like that, It’s beautiful to see snow for me. Thanks so much for keeping updated us through this site, I really appreciate your gentleness in doing it. I am glad David is fine, I have refrained from writing for a few days here, because of my barrier of the language, it’s still for me too bad not finding at times words to express my good wishes for our David. #128 Bebe thanks for the update. #137 Thanks for praying for him. In spanish I’d like to add prayers for him and each one of us. y toda su corte de Santos Ángeles. que Él generosamente nos envía para nuestro sustento. cualquier medio de transporte que habremos de utilizar. y Tu Corazón al fin reinen en ella. through which the enemy wants to harm us. and the world in which we operate today. interference and break the evil action. and his court of Holy Angels. He generously sent us for our sustenance. any means of transport to be used. and Your Heart at last reign. and are kept of all evil. Dak, such a unique picture and yes, so much snow. Beautiful hats Shawna…They would be very popular everywhere! Muy bonita oracion, entre mas, mejor!! Very beautiful prayer, the more, the better! There are so many angels in this world, as I’ve discovered. You are one. The India trip information was wonderful and interesting, but what you are doing for people by making those lovely hats. So very kind. How generous of you to share your travel experiences to India. It brings us a little closer to David and to what he will be experiencing. Many thanks! A good friend of mine went to India three times in the last five years. The culture fascinated her as did the people, food and music. Her pictures of the people, landscapes and architecture are forever ingrained in my mind. Wishing David a safe and productive visit. Good luck with your transfer at work. Will be wishing for a silver lining for you. There can never be too many. I totally agree with you. SandyBeaches’ writing has a calming effect and this article couldn’t have come at a better time. Shawna, you are a blessing. Why are you 😳 ? I loved your comment. OK– What did you do with the cat? Went to feed him and he’s no where in sight. I want to see him every day until David comes home. He just feels like the light in the window. Angelica, thank you for your lovely “welcome” and making it a good place to visit! Lynella, it is so true how even before he became famous, David manages to focus on others rather than himself … it’s what makes him so special. Djafan, yes, I can’t even imagine what I would do to be able to hear David sing “Nothing Else Better To Do” …. by the way, loved your recap of David’s Anaheim concert at the Grove …. I was there too; wasn’t he just magnificent? Bebereader, I am mostly a lurker but it felt really good to finally post a comment so thank you for making it a welcoming place to visit! Shawna, it’s truly amazing how David is able to perform with his vocal cord paralysis … I don’t think many know what a miracle it is that he is able to sing as beautifully as he does. Ascphil, I am glad that David can provide peace and positivity during the most challenging times as he does for me during the stressful times at work … hope things are gonna get better soon! Silverfox, I echo your beautiful prayer for David … merci! Can’t wait to see what tomorrow brings! Thank you lovely David fans for all your comments! She is there. You don’t see her? She is also standing vigil on the left sidebar till he is safely home. ok, this is not a poem but a real prayer I was searching for sharing on this post. I am reading news about David’s trip.